How much will my new iPhone change in a year? Today's smartphone owners are a different beast to those that shelled out for a mobile phone a decade ago. We now expect regular updates to make our phones better, faster and less buggy, and we want the updates now - and there's none more expectant than the iPhone user. However, it's not just those who'll be in line (or online) to buy the iPhone 5S or iPhone 5C who stand to benefit when the all-new iOS launches this month; it's also an exciting time for existing handset owners who'll have some new software to play with. When new users take the wrappers off the iPhone 5S, it'll also see Apple feed down iOS 7 to all of the devices it still deems compatible, right down to the three-year-old iPhone 4. What's old will become new again for iPhone owners this month. Indeed, despite Apple's desire to have everyone upgrade to the latest device in its range, it has played a fair hand in ensuring legacy device owners can have access to as many of the new features as possible. However, once iOS 7 drops on September 18 there'll also be plenty of in-version updates coming throughout the next year, bringing refinements and improvements and perhaps, (whisper it) some bug fixes, before iOS 8 comes along in 2014. So how many times will would-be owners of the new iPhone be gifted updates? Will the iOS 7 we see drop later this month be the only new features iPhone users can expect for the next 12 months, or can we expect a slew of updates to boost iOS 7 as the year goes on? iOS didn't start life as iOS, as that moniker only arrived with iOS 4 in 2010. For the first few versions, Apple simply referred to it as the iPhone OS, a mobile version of Mac OS X, the company's desktop software and the first to boast a touchscreen interface. With a mobile version of Safari, Mail, YouTube, Google Maps, iTunes and more, it was billed as the entire web on one device. Apple didn't rest on its laurels for a year though, as it tweaked the software throughout the next 12 months. iPhone OS 1.0.2 brought bug fixes and improved speaker volume, but iPhone OS 1.1.1 was the first major bump. It brought access to the iTunes music store, allowing users to buy music over Wi-Fi, a change that would further mobilise the digital music revolution. It also brought compatibility for a video out connection, while double clicking the Home button allowed users to access shortcuts. iPhone 1.1.2 brought international keyboard support and little else, but the next major update, which arrived in January of 08 was a real big hitter. iPhone OS 1.1.3 brought a much-improved Google Maps app, which triangulated the user's current position using Wi-Fi towers, and also debuted a new interface. This update also focused on improving the iPhone's Home screen, allowing icon position to be customised and web pages to be saved to the home screen. Apple called them "Web Clips." Group SMS was also a welcome addition. iTunes Movie Rentals also arrived with this update, but at this stage they weren't available for on-device purchases. "iPhone doesn't stand still - we're making it better and better all the time," said Steve Jobs, Apple's then CEO in the company's press release. "We've delighted millions of users with this revolutionary and magical product and it's great to share these improvements with them." Two more versions (1.1.4 and 1.1.5) brought more minor updates before iPhone OS 2.0 arrived in June 2008, but thanks to these updates the iPhone was a far superior device at the end of its first year than it was at the beginning. When the iPhone 3G arrived the numerous hardware updates were partly overshadowed by the improvements to the iPhone's software. The app-dominated mobile ecosystem we see today began in earnest with the launch of the App Store and the arrival of third-party apps within iPhone OS 2.0. That version also added Microsoft Exchange support, opening the device up to business users and introduced MobileMe, the platform that would eventually become iCloud. Owners of the original iPhone also were also able to upgrade to the new software, a trend which has continued where possible until this very day. In terms of updates, well iPhone OS 2.0 had plenty… mainly because plenty of fixes were required. iPhone OS 2.0.1 and 2.0.2 brought bug fixes, before the first major update iOS 2.1 delivered answers to complaints about battery life, speed and dropped calls. It also sought to improve third-party app download speeds, brought faster iTunes backups and faster contact loading. In terms of features, it added the Genius playlists the company introduced at an iPod event in September 2008.
iPhone OS 2.2 was a little more rich in new features bringing Google Street View to the iPhone for the first time, as well as driving directions, walking directions and public transport. Google Maps would also show display the address of dropped pins and enable locations to be shared. Podcasts were also available to download for the first time, while Apple continued to work on eliminating dropped calls. In January of 2009 Apple made a few more fixes with iPhone OS 2.2.1. By the end of that cycle, the second version of iPhone OS had become much more stable, but hadn't grown significantly in terms of new features. However, the arrival of third-party apps meant that didn't really matter as much, with users exposed to a new world of other options. 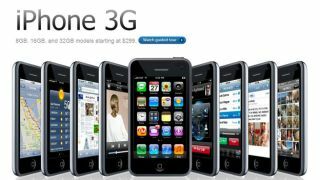 The launch of the iPhone 3GS in the summer of 2009 saw Apple bring iPhone OS 3 in to play. It ushered in a large array of new features that improved life for iPhone owners without revolutionising it. MMS finally arrived, as did push notifications for third-party apps, the system-wide Spotlight search tool, voice control (a pre-cursor to Siri) and the option to cut, copy and paste text into other apps. In-app purchases also debuted for paid apps, while Bluetooth stereo support enabled new wireless audio options. As well as debuting on the iPhone 3GS, iPhone 2G and iPhone 3G owners also got in on this action. In terms of updates, well, they became less plentiful as Apple settled into its yearly update cycle and started saving new features for later versions. iOS 3.1 allowed users to buy ringtones from the iTunes Store, while the Genius feature was extended to apps. Some bugs relating to lost network connectivity and waking the device from sleep were resolved in iOS 3.1.2, while iOS 3.1.3 brought no new features beyond stability. iOS 3.2 arrived in April 2010 to coincide with the first-gen iPad release, but brought no new features for iPhone users. They'd have to wait until iOS 4 for the iBooks Store.